I constantly look for Avengers related stories. 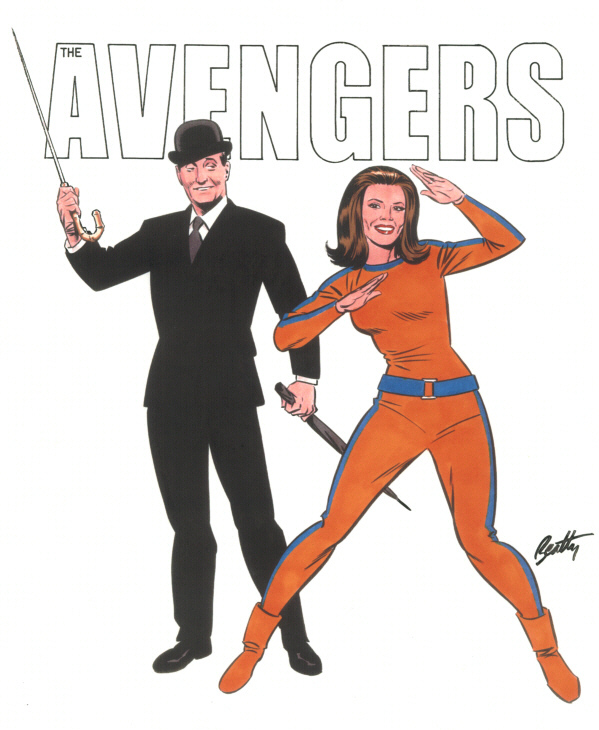 They could be standard Avengers tales or 'crossovers' - stories about the Avengers that appear in other genres, giving our agents extraordinaire a different flavor. If you discover any other crossovers or Avengers based stories, please let me know and I will post them here! 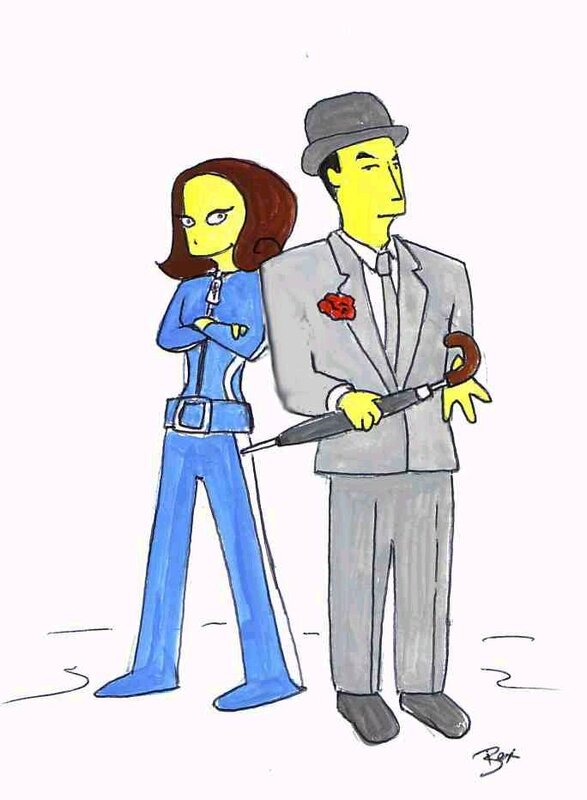 First, my crossover tales of Steed and Mrs. Peel in Amber. My Steed of Amber page provides links to many of Steed's Tales. I wrote a short story while on vacation in St. Augustine, Florida, called "Forgiven but not Forgotten". It is a continuation of the episode "The Forget-Me-Knot". Avengers poetry corner. WARNING! This is for adult readers only! It contains adult content. Silly, but adult content nonetheless. A new find! The Avengers in Green Acres! 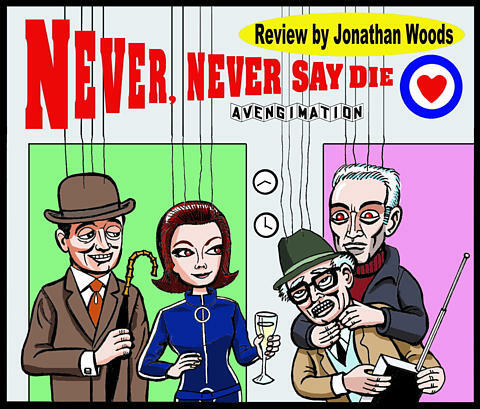 The Avengers are sent to the U.S. to investigate wrongdoing in America's Heartland ... a temporary assignment ... or so they believe ... A crossover written by Pam, of Steed and Mrs. Peel in Rural America, on a mission in a small place called Hooterville. If you watched and enjoyed Green Acres and Petticoat Junction, you will find this story a fun and refreshing one. Our intrepid agents become Mr. and Mrs. Douglas. For the Suburbia Avengers Group! We worked on a Group Writing Project. It is available in Word format. Enjoy! Contributors were: Mint Julep, Howard Hayden, Mona Morstein, Bex, Cindy, Piers Johnson, Kimberly McCachren, and Cal Westray. WARNING! This is for adult readers only! It contains adult content. Silly, but adult content nonetheless. 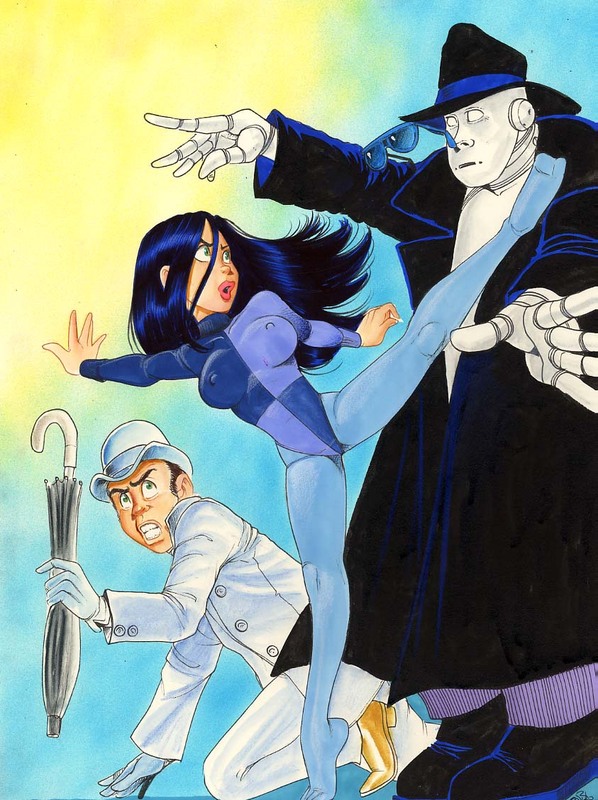 Fans of John Steed, Cathy Gale, Emma Peel et al might want to scurry on down to their local comics shop for a copy of Comics International #201, the 100-page first issue from new publisher Cosmic Publications. 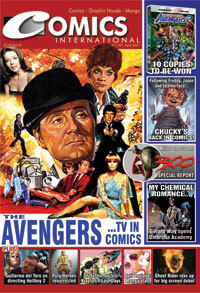 The long-running news magazine is continuing its exhaustive overview at TV fantasy in comics with a detailed and heavily illustrated look at The Avengers, written by John Freeman, Ian Wheeler and Dez Skinn. Excerpt from The Man From U.N.C.L.E. #13 "The Rainbow Affair" by David McDaniel 1967. 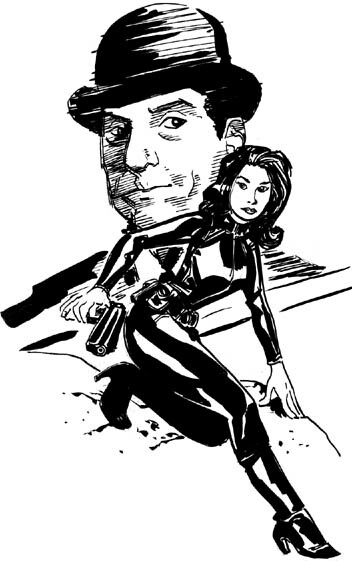 "The Avengers Affair" (The Man from U.N.C.L.E./Avengers crossover tale) by Lyle Peterson. Lyle graciously gave me permission to post the tale here. I hope to dress this up a bit later, but for now, here it is. Enjoy! If you would like me to pass on comments to the author, I will be happy to! Alternate Dimensions & Universes to the Wold Newton Universe by Win Eckert. 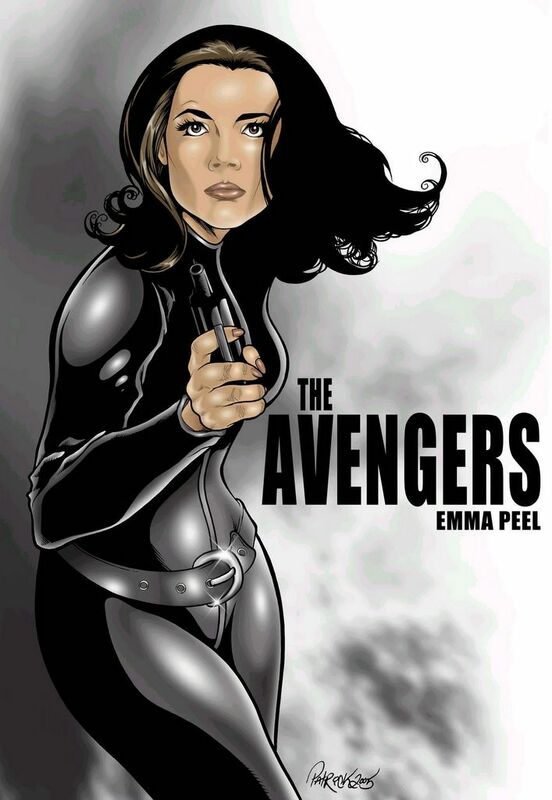 Fanfiction.net - Fan Fiction of the Avengers with various crossovers. Mia McCroskey has a site Mia' Mar Vista News. Remember the Hellfire Club, from "A Touch of Brimstone"? Marvel Comics did a crossover in the "X-men" (a description) and later in "Excalbur". In "Excalibur" they actually provided a character as The Black Queen, Ms. Emma Steed. Avengers based artwork, done by Barry Blair and Colin Chan. Avenging the Simpsons artist is unknown.